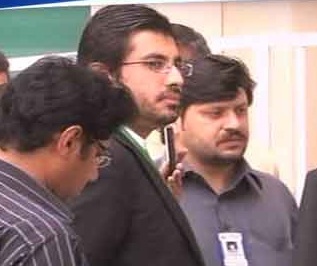 Arsalan Iftikhar The son of Chief justice of Pakistan Iftikhar Chaudhry is being accused of monetary corruption. CJ has to deal this case with extreme care and any negligence from his side will defame the total justice system of Pakistan. 1. For an unbiased and extremely just decision Chief justice must not hear this case. 2. If son of Chief justice is proved guilty ,Chief justice will not be held accountable unless and until his involvement is not proved in this corruption. Chief justice must be careful about all these points and should try hard to overcome his sentiments and should be patient during the hearing of this case. May Allah help people of Pakistan and make our homeland a true Islamic welfare system where all problems of people are solved in light of Quran and Sunnah. How To Watch PTV Sports Live Online? Who Is Malik Riaz Hussain?